Not sure what to get if you're just setting up a makerspace with the HyperDuino? 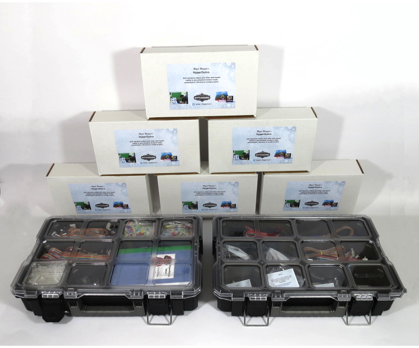 This is a good starting set that will give you 6 HyperDuino+Funduino units which can be shared among different projects, 6 each motors & servos, and 18 additional Project Sets with LEDs, touchpoints, LED and touch rainbow cables, which is enough for 30 interactive maker projects. (The HyperDuinos would be shared between the projects, and materials can be re-used as desired).